When on Bantayan island I rented a motorbike to tour the island. I went from Santa Fe to Bantayan town and all the way to Madridejos in the north. Wasn´t that interesting to be honest. Many of the towns in Philippines look the same. A small cathedral, boys playing basketball, and then the tricycles followed by black smoke. The picture above was made in the rather sleepy Bantayan town. Watch is closely. See the boy texting? The tricycle driver is more or less left to deal with the flat tire alone. 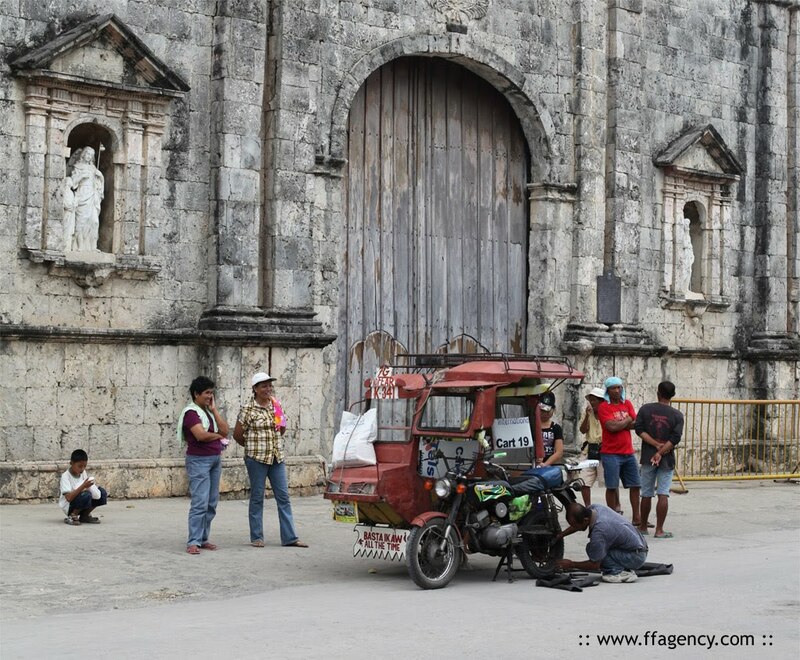 The "trike" is actually stranded outside the cathedral which is the oldest parish in the Visayas and Mindanao. It is even older than the Cebu Metropolitan Cathedral and the Basilica del Santo Niño de Cebu. Kind of like the athmosphere in the picture. What do you think about it?